Ole Gunnar Solskjaer has identified a new right-back target for the summer. As far as a majority of the Manchester United fans are concerned, Ashley Young has been an absolute disaster at right-back this season, and almost everyone wants the club to move the Englishman down the pecking order. Solskjaer apparently shares that opinion as well, with multiple sources having already indicated that the Red Devils are in pursuit of a new right-back to recruit come summer. Crystal Palace starlet Aaron Wan-Bissaka, who has been an absolute revelation this season, has been heavily linked with a move to Old Trafford for quite some time. But now, Manchester United may end their interest in Wan-Bissaka altogether, and chase a new target instead, if the latest report from The Sun is to be believed. The English outlet states that Solskjaer has been impressed with Diogo Dalot’s performances this season, and wants the Portuguese to be the sole young right-back for the upcoming campaign. Therefore, the Norwegian does not wish to pursue another developing full-back in the form of Wan-Bissaka anymore. Instead, he will opt to bring in an experienced defender in the position. The report adds that Paris Saint-Germain‘s Thomas Meunier has been identified as the perfect candidate to rope in before the start of next season, as he fits Ole’s new criteria perfectly. Aged 27, the Belgian international has ample top-level experience under his belt. Further, the fact that he is a die-hard supporter of Manchester United only works in the Reds’ favour. 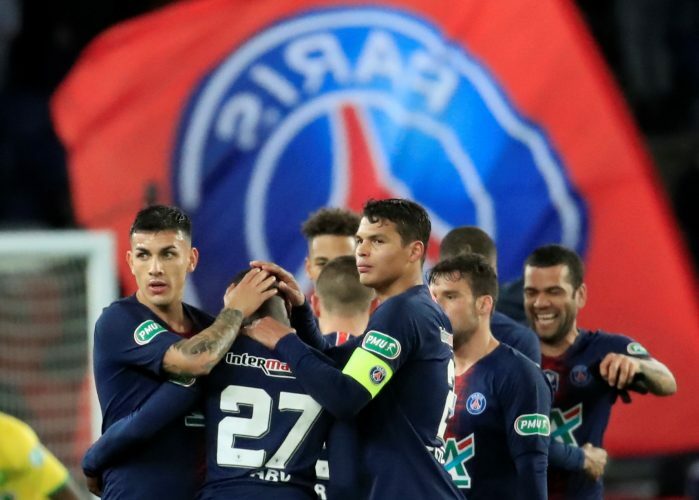 Meunier has only managed to start four of PSG’s previous 14 games. Therefore, the prospect of getting regular game-time at his dream club only makes this transfer a matter of when, and not if.